The next 10yrs are going to disrupt a lot more things than anyone can imagine. Design already needs to use AI to keep up with the exploding contexts and use cases they find themselves designing for. This is an example of how previously career jobs are getting replaced with neural networks that can learn all the knowledge and implement newer solutions. Read on to learn more about this experiment. ‘Infrastructure’ is something whose value becomes apparent only when it breaks down. The developed world only notices electricity, water, Internet when the supply/service is disrupted. 30yrs ago, very few people used computers or the Internet. Today, almost all work is influenced/ affected by digital manipulation of data. It’s infrastructural. Humans add most value doing tasks that technology hasn’t quite figured out yet. Over the next 10 years, almost everyone’s work will begin to be impacted/influenced by Artificial Intelligence. As jobs get smartened, automated, and scaled, human tasks will continue to shift more into newer, higher abstractions that were practically unreachable in the past.This is an example of how User Interface and Interaction design has moved from tangible interfaces (e.g. physical buttons), to mutable digital interfaces and gestures (displays and touch screens) and now to a deeply integrated partnership with Artificial Intelligence. Designers have to be skilled in understanding contexts and distilling down use cases. But now, Artificial Intelligence is beginning to be the only scalable way to keep up with and design for abundantly complicated contexts of rapidly evolving technology and increasing levels of customization. Traditional UI design is already getting outdated. It’s always nice to use a product that manages to reimagine a product category and surpasses it. WA state finally made Autosocks legal in 2012 and my wife and I were the first in line to get these. You can put them on in seconds with no effort, tightening, retightening etc needed. They work just as well as chains. You can plough through the snow. They have no metal on them. So no damage to the tires or to the roads. 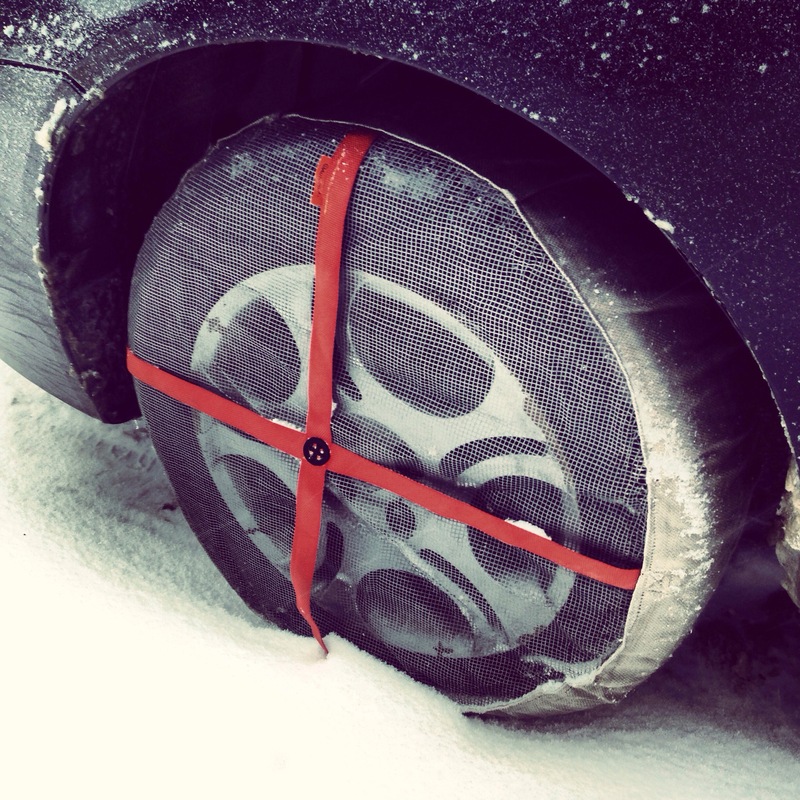 Been using these for two years now – there’s no real catch except you gotta take them off when there’s no snow – the hard dry road will do a number on them. But you shouldn’t be driving on dry road with any traction devices anyway. I highly recommend the Autosock. Get them here (do check the tire size to get the right fit). This is what my desk looked like at work. Can you guess what my team was up to for the Hackathon? 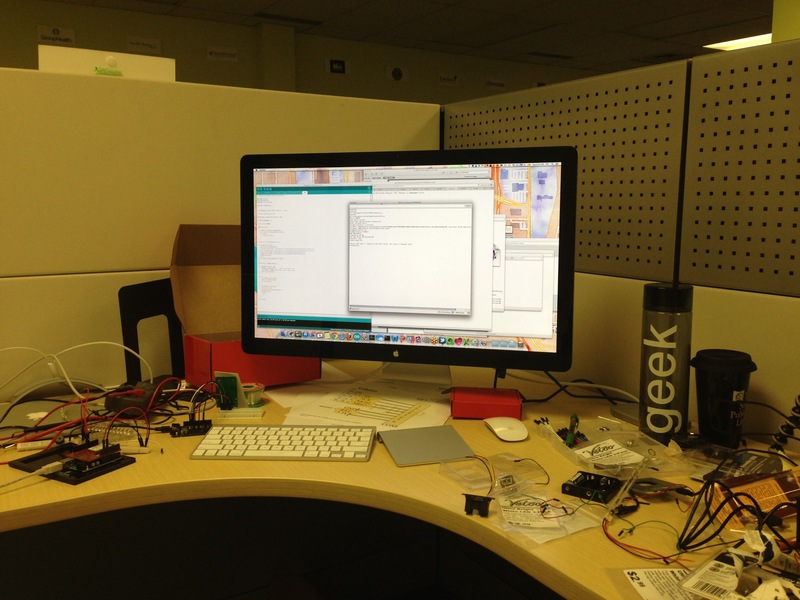 Hint: there’s an Arduino in there with a WiFly shield, and an RFID reader and some fun LEDs! 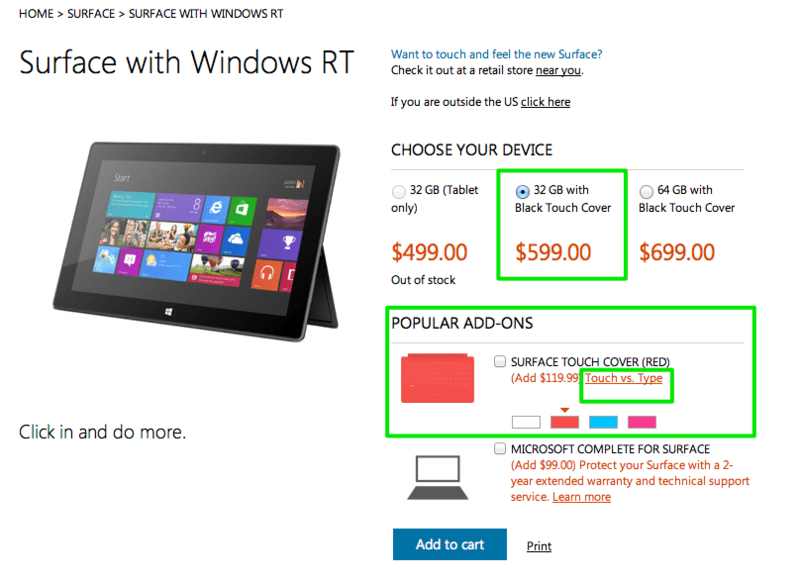 I was trying to buy the Surface and went to the Microsoft Store website. I had prior knowledge about the difference between RT and Pro so I knew which one to click on (I have read accounts of most people who are already confused at this point. But that is not what this post is about). For me the confusion started when I saw the options for the RT one. As you can see in the image below, the default option that was checked on that page was the 32 GB with Black Touch Cover for $599. Hmm, ok. Then my eyes wandered down to the Popular Add-ons section. The White one was selected by default but that showed up as out of stock. So I clicked on the Red one, and that one was available. 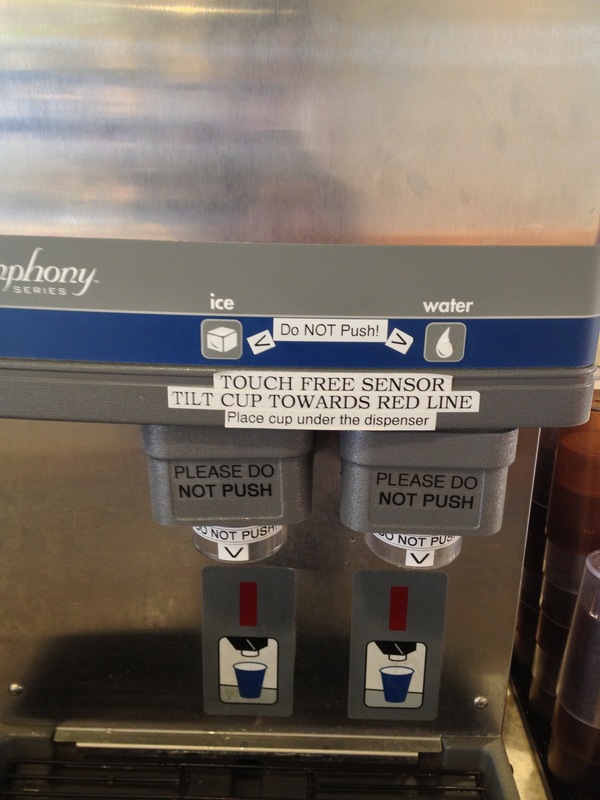 Why have a button affordance when it’s not a button? Love the level of contextually in this experience. 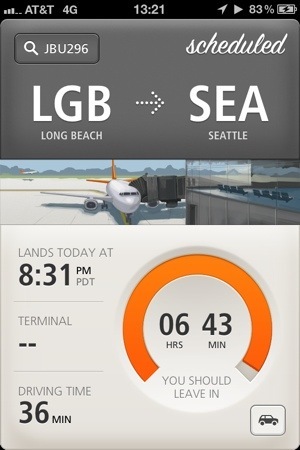 It knows where I am, knows when the flight arrives and knows what the traffic situation is like so I know the optimal time I should leave to pick her up. Only thing to be added would be if it knew where my wife is and whether she made it to the flight or not etc. And if it synced with Tripit so I don’t have to add items manually. These things can take hours. But you can now see a brainstorm we did at work reduced to 1 minute. Limeade Brainstorm Time Lapse from Limeade Marketing on Vimeo. We follow a Lean UX approach at Limeade and invest in light-weight dynamic personas that evolve as our user understanding evolves. This helps the team empathize with the target users in a low-cost way. The following is a session that lasted a few hours but has been time-lapsed down to about a minute. Limeade Personas 1 from Limeade Marketing on Vimeo.